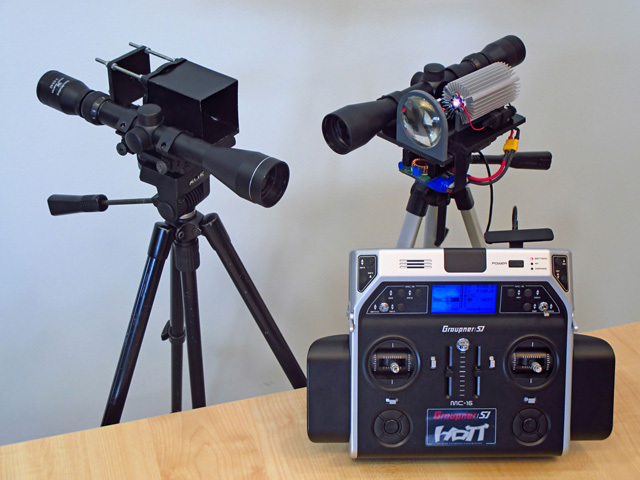 The optical remote control system allows you to control a drone within your line of sight. This control method becomes useful when a radio link is broken for any reason. This is the first prototype of such an alternative control system. The optical communication signal cannot be disturbed by a third-party emitter projecting signals from a different direction. Use a one-way transmitter to transmit video from onboard the device. Interference generators affect the receiver, but not the transmitter. This is why a two-way modem is less reliable than a one-way transmitter. Use non-standard communications channels. For example, transmit videos on a free TV broadcast channel. You can order these transmitters, but it is illegal to use these channels without a license. And it is also illegal to generate interference on these frequencies. Not many organizations are prepared to fight the offender by also becoming a perpetrator themselves. In most countries, the penalty for violation is a fine and confiscation of your equipment. Use two communication channels for control. Select a custom or outdated frequency for the second communications channel. For example, 40MHz, 35MHz, or 27MHz, among others. The RX Multiplexer device will automatically switch control to the backup channel. Onboard electronics and wires should be given additional shielding. Connective wires should be kept to a minimum. Adhesive aluminum foil can be used for shielding. The Fail Safe mode should maintain the drone's flight altitude and fly the device in a circle when the connection is lost. Better yet, it can guide the unit using the compass to return to you. Open-source autopilots (Arduino) can in the absence of radio communication and navigation repeat the altitude and return the multicopter to you using the compass. 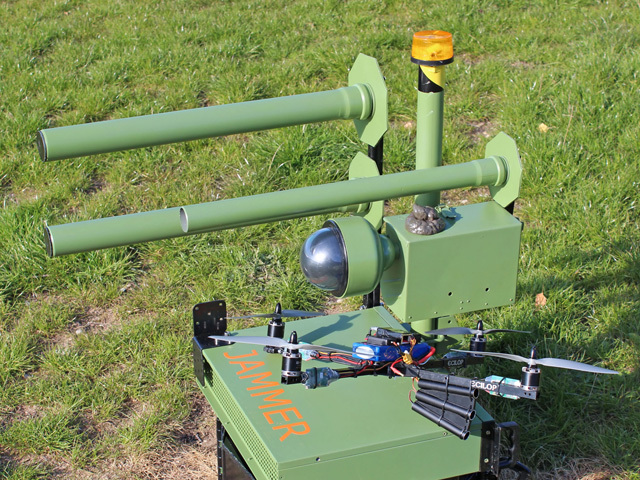 Even if the wind carries the unit off course, the drone should still emerge from the blocked area.